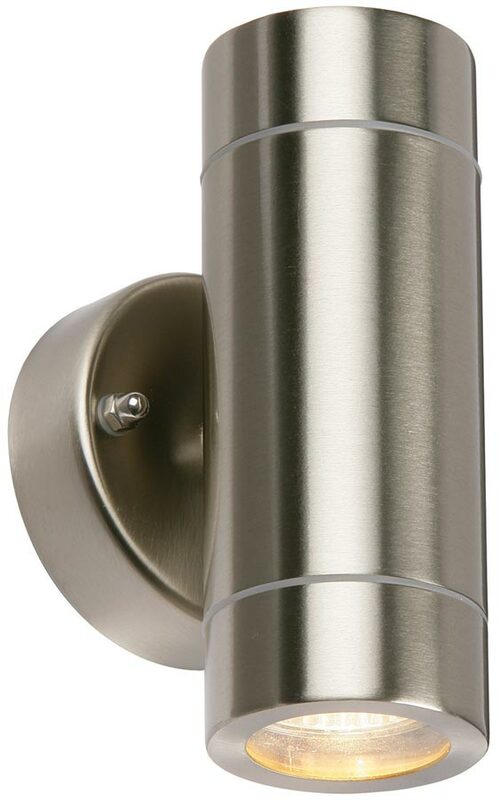 The Palin modern stainless steel outdoor up and down wall spot light, rated IP44 and fully weatherproof. Finished in brushed stainless steel it offers a stunning look at an affordable price. Matching items are available in this range, please scroll down to view. Sleek design, with a circular wall mount and stainless steel tube fitted with a spot lamp at the base to shine the light up and down the wall and onto the ground below. Perfect for lighting a pathway or alongside a porch.